North West of Trail location mid-century modern charmer on a tree canopy road. 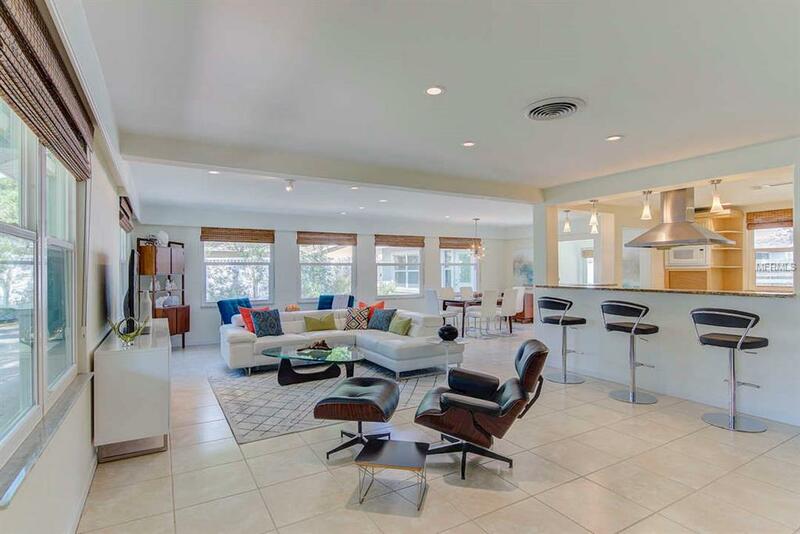 RARE walkable and just down the block is the HOA bay access to drop in your paddle board or kayak. Optional Indian Beach - Sapphire Shores HOA with RARE $25.00 annual fee. If you like to walk, run, bike, walk your dog then this is the property! Natural gas utility for range and tank-less water heater. 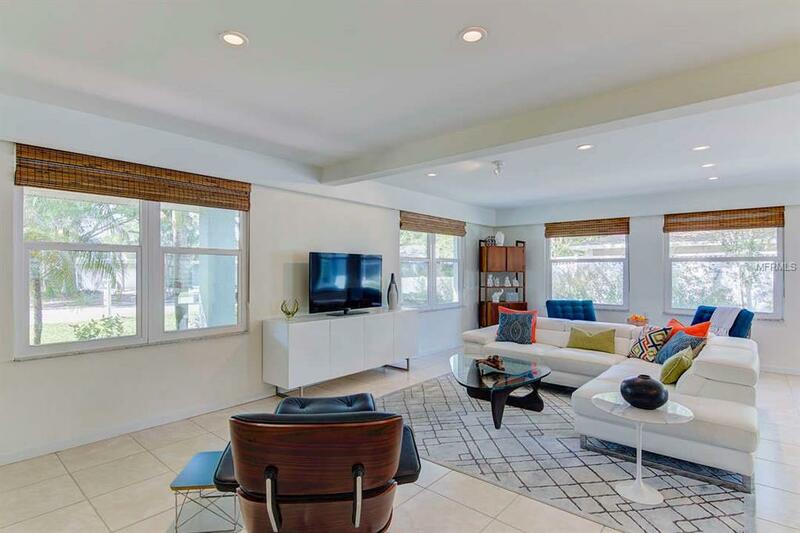 Updated and move-in condition with stylish finishes, open great room for entertaining, and living options include in-laws suite, studio, or RARE private access duplex rental all on ground level living. RARE two driveways allows for boat/RV parking options. RARE large fenced backyard with room for a pool and garden. The main house has 2 bedrooms and 2 baths. The sleek open kitchen is updated with stainless steel appliances and stone counter tops. Updates include newer roof, windows, appliances, kitchen and baths, paver drive, rear patio, and others. Two washers and dryers. 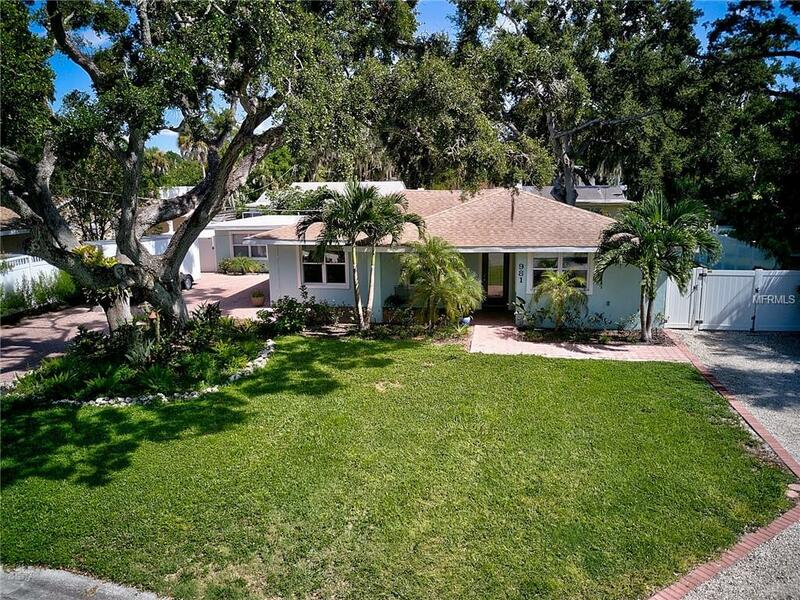 Stellar location minutes to Downtown Sarasota, the Ringling Museum, and Sarasota/Bradenton Airport. World famous beaches and St. Armand's Circle are 15-20 minutes away. 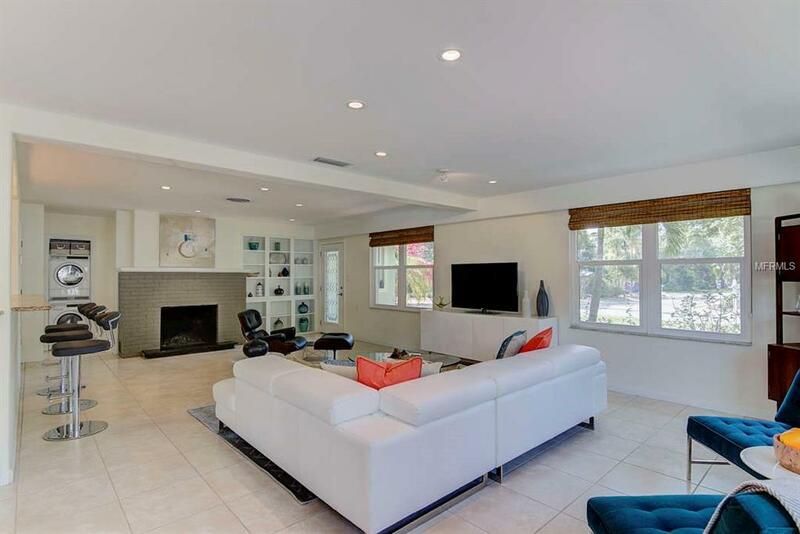 A wonderful property with lifestyle options in the middle of everything Sarasota. Property is staged and furnishings available for purchase from the stager. Room sizes are deem reliable, but must be verified by the buyers. Additional Lease Restrictions Tax Records States Duplex And Single Family Descriptions. ****Leasing Per City Guidelines****.